Minjoo Party chief Kim Chong-in announced on Wednesday he has decided to stay on for the sake of the party’s victory in the April elections, allowing the main opposition to avert a leadership crisis but leaving a dent on the party’s reputation. “After much thought, I decided to stay,” said Kim in a press conference at the National Assembly. “We have almost 20 days left before the elections. That makes me feel a sense of responsibility about my decision on whether to leave the office,” he said. The leader pledged to overhaul the party that has been marred by factional strife. He warned against party dissenters who he viewed as an obstacle to the party winning the parliamentary and presidential elections. Kim’s decision came after the party’s former leader and other key figures pleaded with Kim to stay in the feud-ridden party and bring it to election victory. The party leadership apologized to the interim leader for “angering” him. Kim had contended that he had taken the helm to “salvage” the beleaguered party. The feud left Kim with enhanced authority to steer the party into the post elections. The party leadership endorsed the nomination list that assigns him the No.2 slot for the seats elected through proportional representation. “The designation (of Kim as No. 2) shows the strong determination that Kim will spearhead the election campaign as the face of our party and bring us to the victory,” said Minjoo Party’s spokesman Rep. Kim Sung-soo. The leader described the nomination of himself as an “an inevitable choice” to lead the party after the elections. Although Kim’s recommendation for the first spot -- math professor Park Kyung-mi -- made it into the final version, most of his other choices for the proportional candidates were either excluded or placed down the list. Instead, figures recommended by the former leader Rep. Moon Jae-in managed to be included near the top of the list. 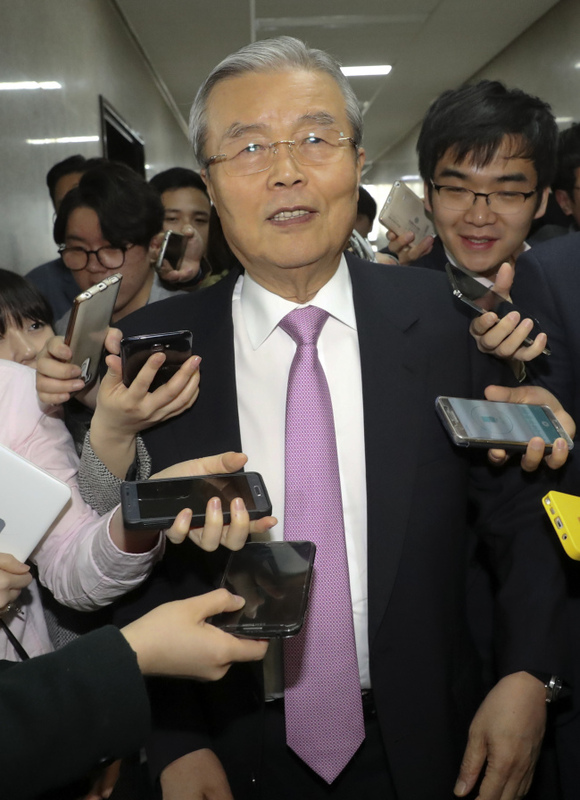 The Minjoo Party had suffered days of tug of war between the interim leader and the hawkish wing of the party, which had protested his decision to exclude them from the nomination and place his choices near the top of the party’s choices for proportional representations. The leader had responded by threatening to resign, prompting former party chairman Moon Jae-in to visit his home to persuade him to stay. Other members of the party’s leadership had offered to resign in exchange.